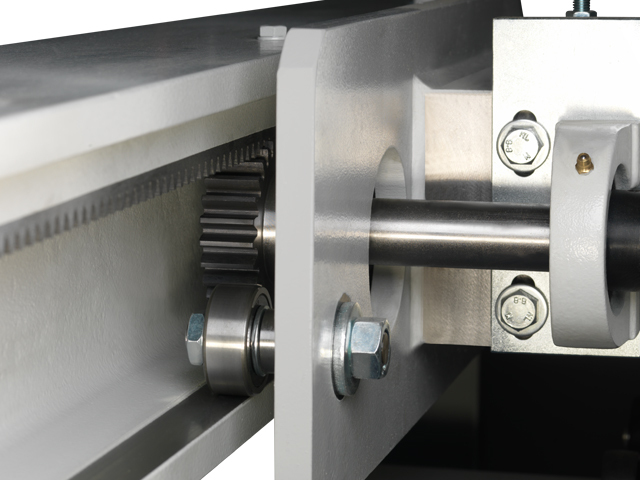 The saw carriage with main blade and scoring blade runs on ground and hardened round guides and ensures an extremely smooth movement and an exact right angle. 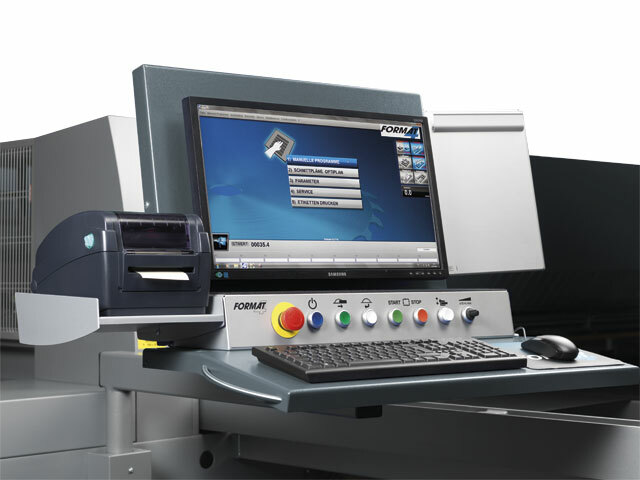 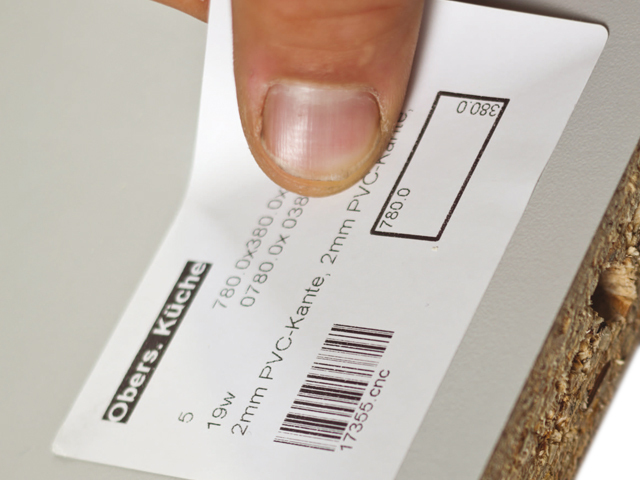 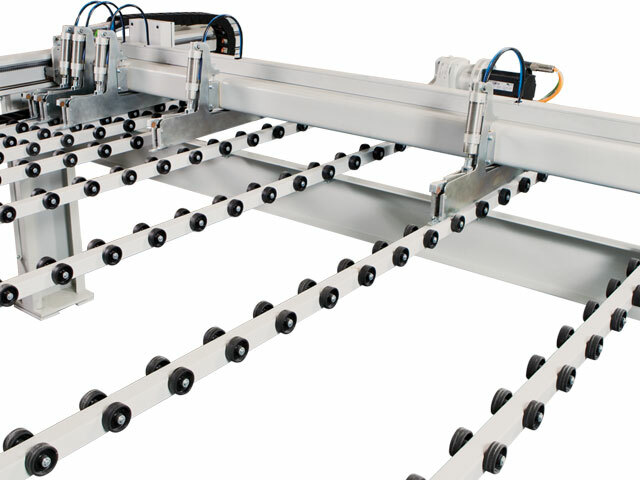 The cutting height can be set manually, pneumatically or electromotive. 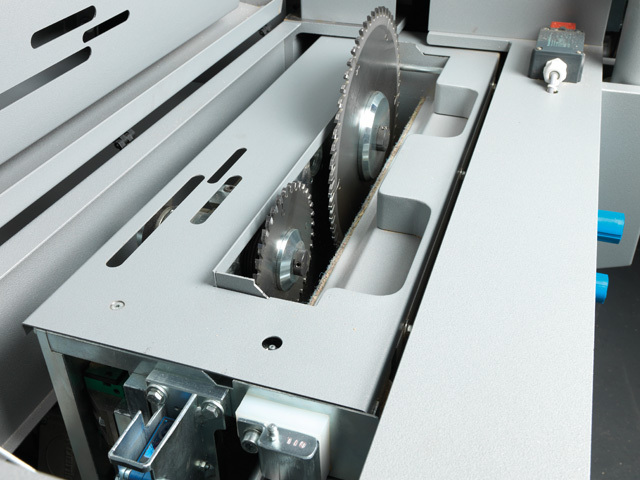 A main and scoring saw blade guarantee perfect and chip free cutting results with a cutting height of 80 mm. 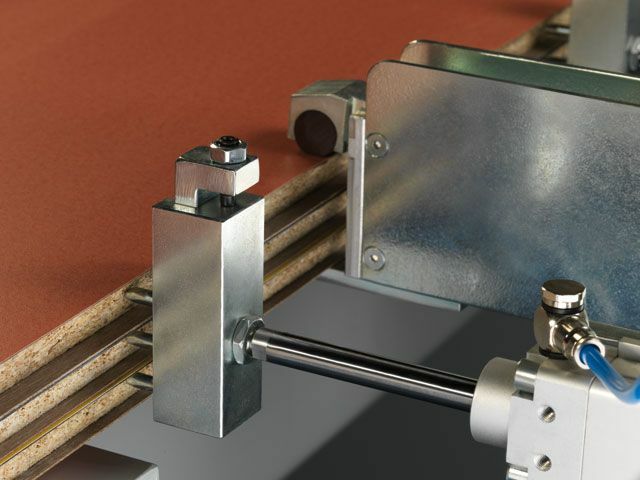 Combined with the cutting direction against the fence, a first class high end cutting result is achieved. 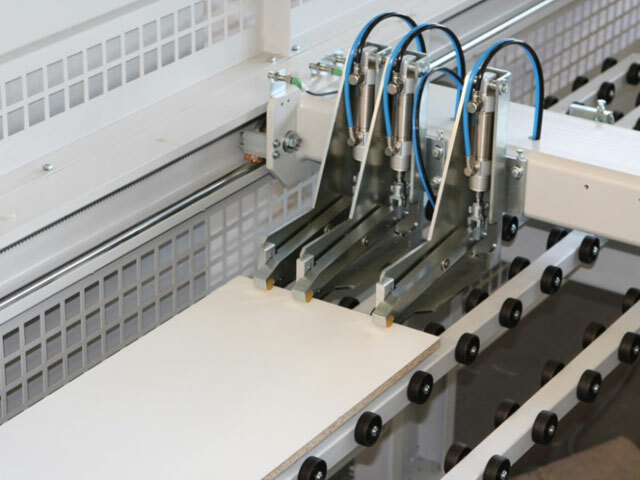 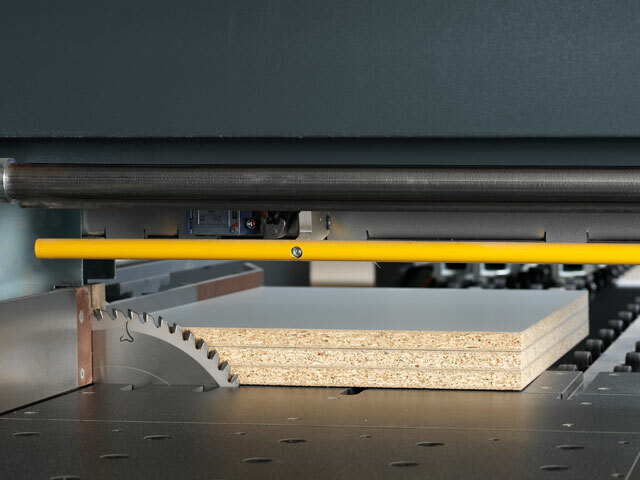 Pneumatically controlled, solid steel clamps ensure secure and damage-free clamping of panel stacks (75 mm opening height ) and individual small panel materials.